What does St. John’s mean to you? Consecration Sunday will take place on Sunday, November 6. 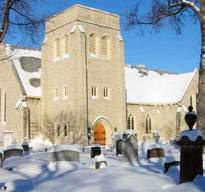 In preparation, at the end of the 10:30 service on October 16, 23 & 30, three parishioners – Maureen Dolyniuk, Ann Goodwin, and Ian Stewart will speak about what St. John’s Cathedral means to them. Please plan to attend these services and especially the 10:30am Consecration Sunday service on November 6. There will be a lunch served after the service on November 6 and if you would like to stay for lunch please write your name and the number attending with you on the sign-up sheet at the back of the church.